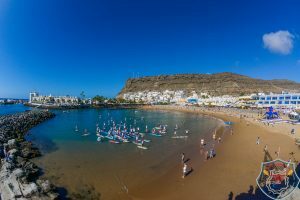 The 15th & 16th of December took place the fourth edition of the “Gran Canaria pro-am *be Cordial* SUP race” in the south of Gran Canaria- in Playa de Mogan organized by the 42 times world champion Björn Dunkerbeck. 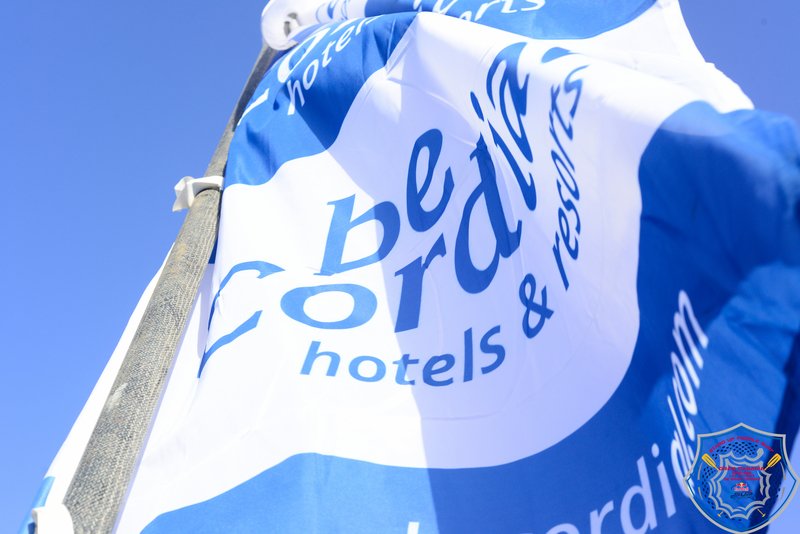 The APP European Championship was celebrated Sunday 16th of Dec.
Hönscheid led the entire fleet. 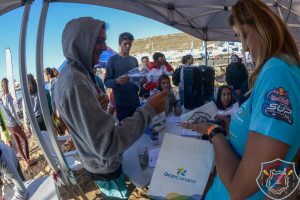 In only 1:36:26 hours she paddled the 12k Long distance race. 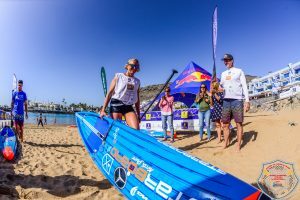 The German said that “the conditions were tough, but that she likes difficult conditions.” This is her second European title. 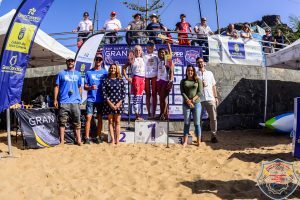 Frenchman Oliver Lavoisey, who lives in Tenerife, was proclaimed European Champion of the Men’s Fleet. 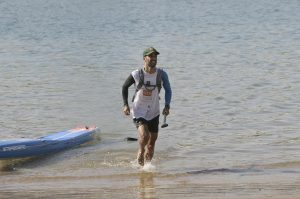 He arrived second with a time of 1:38:28. 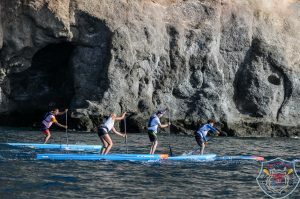 The Coach of the Spanish SUP Selection – Oscar Ruiz Pérez designed a course- 6 kilometers long wich had to be compleete two times. 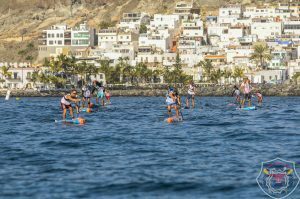 The riders paddeled a two laps route that left from Mogán beach, passing Taurito, turning around at Medio Almud beach, back to Mogan-go around a flag out of the water with the board and paddle in the hand starting into the second lap. 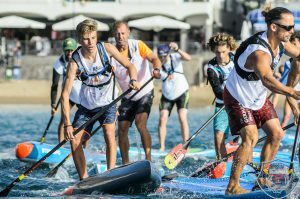 There were also long distance races for children, juniors and amateurs, each with adapted course length. 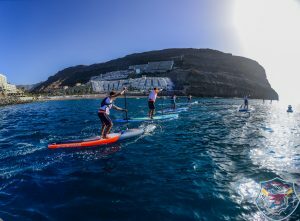 During the event- weekend the audience could try Stand Up Paddle Sport for free with the help of instructors from Björn Dunkerbeck’s surf schools. 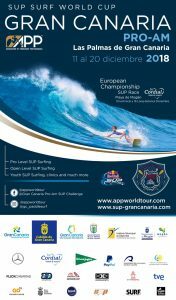 Dozens of people took this opportunity to try one of the fastest growing sports in Europe. 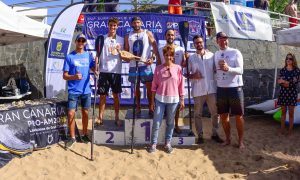 The trophies were handet out by the current APP Race World Champion – Arthur Arutkin, the mayor of Mogán Onalia Bueno and the general manager of hotel group *be Cordial* (as main sponsor) Nicolás Villalobos. 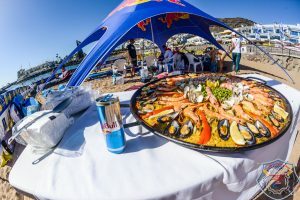 No Position Time Name Surname Nat.